Study and make recommendations for improving delivery of Texas' mental health services; consider local and regional delivery systems including access to care, cost effectiveness, choice and competition, and quality of care. 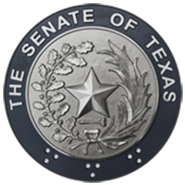 Monitor state and federal Medicaid reform proposals, including their impact on the Medicaid program in Texas, as well as cost-containment measures in other states, and make recommendations for legislative action, as appropriate. Study and make recommendations relating to filling shortages in the health care workforce and improving medical educational services. Evaluate the state's use of the National Health Service Corps and Federally Qualified Health Centers (FQHCs) to address the needs of the Medicaid/Medicare and underinsured populations. Examine the strategies used by other states that have had success with FQHCs and make recommendations for increasing the number of FQHCs in Texas. Study and make recommendations relating to policy issues surrounding the use of emerging skin cell research, and other technologies. Study and make recommendations for improving vaccination rates and ensuring an adequate vaccination supply in the state. Include an analysis of vaccine manufacturing and purchasing policies. Evaluate and make recommendations relating to the creation of a comprehensive and statewide nutrition and physical activity plan to address obesity and chronic diseases. Examine options for funding components of such a plan. Monitor the implementation of S.B. 6, 79th Legislature, Regular Session, relating to Child and Adult Protective Services. Study and make recommendations for development and enhancements to protocols for joint investigations by child protective service workers and law enforcement and for interviews with children for disclosure of abuse. Study the current use of the 2-1-1 network to provide access to information on federal, state, and local resources. Examine and make recommendations on strategies that improve the coordination of service information and expand the availability of information on services currently provided by community and faith-based organizations. Monitor the implementation of H.B. 2292, 78th Legislature, Regular Session, relating to health and human services. Focus on implementation of service coordination and consolidation efforts to assess the impact on service quality, while reducing costs. Study the current laws/policies relating to forensic patients in our State Hospitals and Community Mental Health Organizations. Include analysis of and recommendations relating to pre- and post-trial forensic patients, competency laws and procedures, current treatment policies and guidelines, cost and placement considerations for creating specialty units for forensic patients, judicial discretion and medical best practices.